Try our delicious September Menu before it’s gone! Have you tried it? Our September menu? It’s available only for one more week! The Tarratine is already anticipating fall’s bounty and starting to craft the next big cuisine. Keep an eye on our blog so you have the inside track when it launches! Whenever you visit (and, we hope it’s soon! ), you can count on our chef-inspired menu that’s always packed with delicious and seasonal specialties. Come down the hill to have this mouthwatering appetizer, Bacon Wrapped BBQ Shrimp. 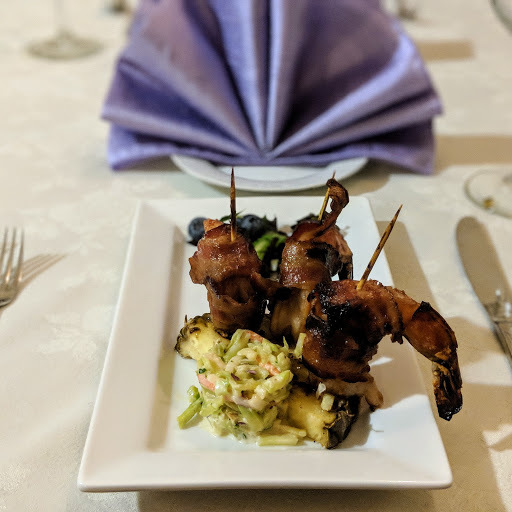 Three shrimp marinated in BBQ, wrapped in bacon and skewered into a grilled pineapple slice, served with Brazilian Slaw. Sweet, smoky, and tangy. Lets wake your taste buds up with this appetizer! 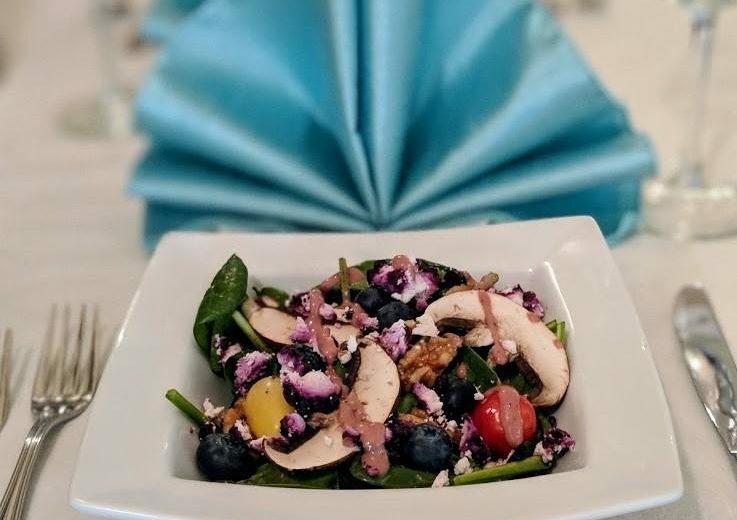 In our arsenal of delicious food, we have an amazing and fresh salad called the Blueberry Spinach Salad. 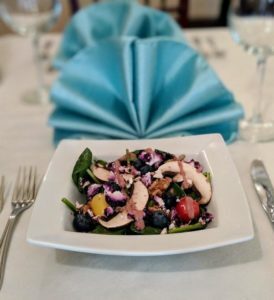 Beautifully dressed with grape tomatoes, baby portobello mushrooms, and our house made candied walnuts, finished with a sweet and creamy blueberry goat cheese and our housemade blueberry vinaigrette. This light salad makes the perfect start to a great meal! When you thought it couldn’t get any better. 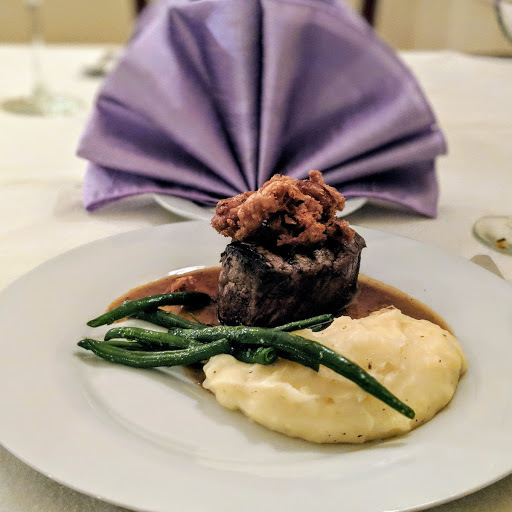 A superb 8oz cut of Filet Mignon. Prepared on a cast iron grill, topped with crispy fried onion strings and our homemade au jus. So tender you don’t need a knife! Served with silken potatoes and our seasonal vegetable. This rich and delicate custard style dessert has notes of amaretto tucked into every bite. 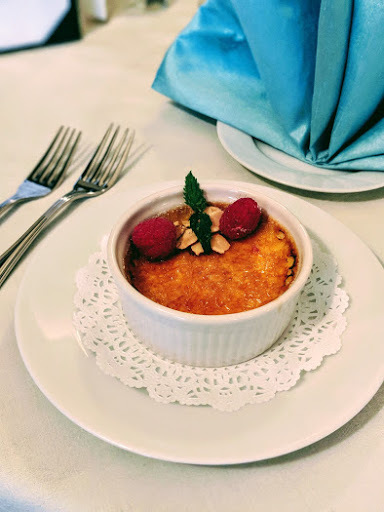 Topped with a crispy layer of caramelized sugar and toasted almonds. Tableside fired by our Chefs to create a unique dining experience only found at The Tarratine.